Home→Articles→Guide to Dual Sport Adventure Riding→What is Dual Sport Adventure Riding? What is Dual Sport Adventure Riding? Before we can write a guide to dual sport adventure riding we have to define dual sport adventure riding. 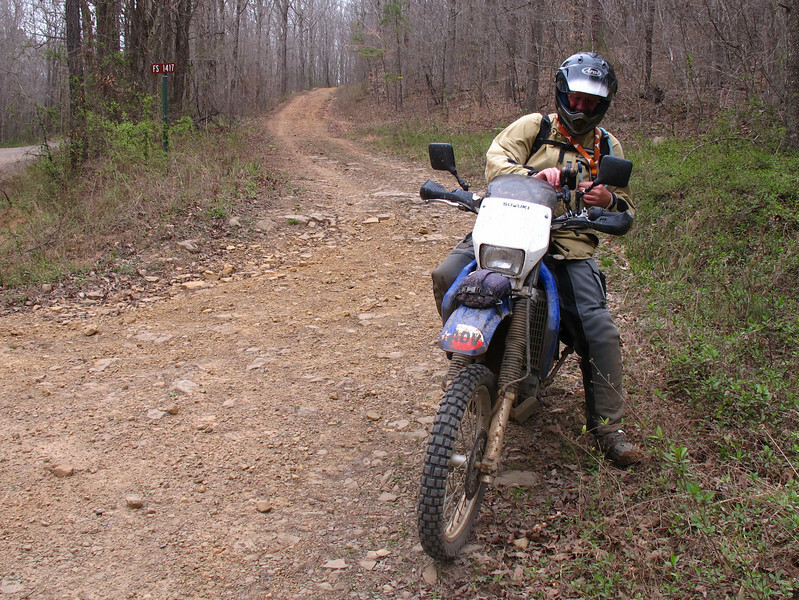 And therein lies the rub – there is no single, universally agreed upon definition of dual sport adventure riding. Ask ten different adventure riders what dual sport adventure riding is and you are likely to get ten different answers. 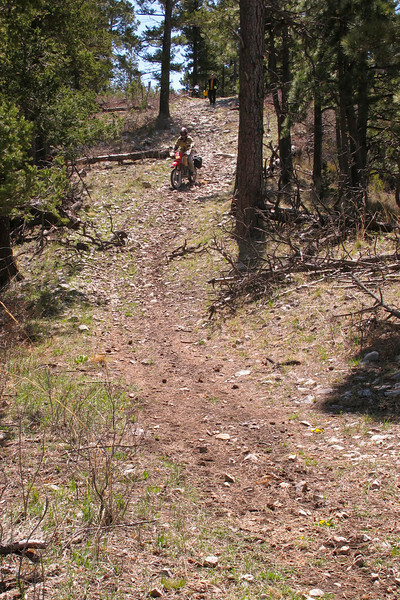 One rider might say it’s riding his plated dirt bike in tight woods, with the least amount of pavement required to ride from the end of one trail to the start of the next. Another rider might define it as a mix of long distance pavement and moderate dirt roads, such as riding from the lower 48 through Canada into Alaska and then riding the Dalton Highway to Deadhorse and back. A third rider might express it as the ability to ride around the world, on roads of all conditions, like Ewan and Charlie did in Long Way ‘Round. And so on. Which one of these defines dual sport adventure riding? Which one is right? And more importantly, why should you care? The truth is they are all correct. Dual sport adventure riding is simply what you decide it is. It’s up to you to determine what dual sport adventure riding means to you. If you decide it means riding a plated dirt bike off-road with as little pavement as possible, then that’s your definition. Or if your dream is to ride from your home to the southern tip of South America then that’s what dual sport adventure riding is for you. If there is no agreed upon definition, then why is it a topic worthy of discussion? 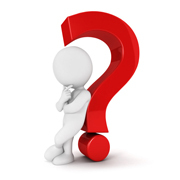 The reason is that your answer to “What is dual sport adventure riding?” is critical to making the right choices in motorcycle, modifications, protection, and gear. If your goal is to ride tight woods with minimal pavement but you buy a 600 lb “adventure” bike, you probably won’t be happy. It’s the wrong tool for the job. Similarly, if you buy a plated dirt bike yet your goal is to ride 20,000 miles round trip from your home to Tierra del Fuego and back then you are likely to regret your choice of motorcycle long before you reach South America. Gaining a clear understanding of how and where you will ride is critical to making the best choices. We will discuss this topic more throughout this guide but it’s something I urge you to get worked out in your head before you invest time and money in stuff (motorcycles, gear, luggage, etc). I am wanting to buy my first bike and figuring out which to get has been tough. Thank you for all the great advice. I have 11 miles of decent dirt/gravel to the pavement and then 10 miles of that to town. Thinking the KLR650 looks like a great choice. Then could ride it in the gently rolling grass covered Sandhills on the weekends. When it rains and the roads are wet/muddy, how does the KLR do? Any Honda bikes close to the KLR650? Again, thank you! The KLR is a fine choice but it can be a handful in the mud. The heavier the bike, the less well it performs in mud. Any 400+ pound bike will be tough to ride in the mud, not just the KLR. The closest Honda to the KLR is the XR650L. In stock form, the XR650L is 347 lbs. The KLR is 428 lbs. 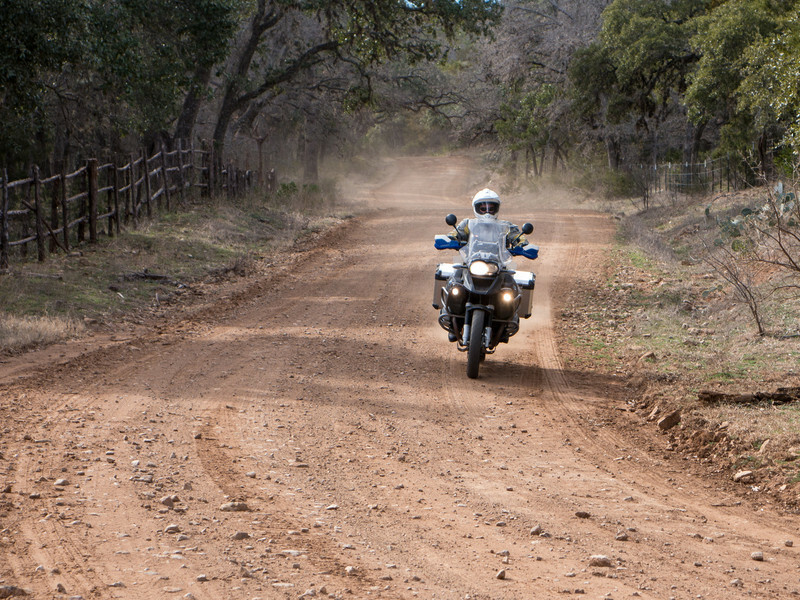 The XRL is much better off-pavement, while the KLR is better on pavement. However, the XRL can be made much, much better on pavement with little loss in off-pavement capability. The KLR can be made a little better off-pavement, but not much (mostly because the biggest factor in off-pavement handling is weight and you can’t make the KLR significantly lighter).